Is healthcare experience overrated in supply-chain hiring? The hiring of Julius Heil stunned a few people in healthcare supply chain circles. 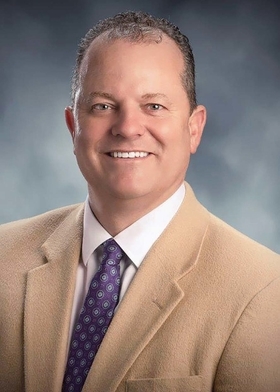 Last May he replaced longtime CEO Brent Johnson at Intalere, the St. Louis-based group purchasing organization owned by Intermountain Healthcare, a 22-hospital integrated health system based in Salt lake City. Heil had very little healthcare experience before getting the job. His most recent work was as a supply chain consultant in multiple industries. Before that he was running logistics for a refrigerated warehousing company based in New Jersey. Healthcare supply chain experts say that kind of journey should be more common, because the industry needs an infusion of new ideas. Hospital and health system executives have been reluctant to hire top supply chain leaders from outside of healthcare. The job has evolved from a simple purchasing and logistics role to one that requires leaders to consolidate physician preferences for products and consider quality and long-term value beyond a product's sticker price. Some would say that the transformation calls for more healthcare acumen than ever. But despite these more complex demands, healthcare supply chain leaders aren't using advanced technologies and best practices that have become commonplace in other industries, experts say. Supply chain VPs or chief purchasing officers at hospitals have traditionally worked their way up from initial jobs on the loading dock. In more sophisticated industries, supply chain executives often have formal degrees in supply chain or logistics. The changes that have taken place in healthcare mean legacy supply chain professionals may need more formal education or advanced experience to deal with modern challenges, said Mehrab Deboo, an executive recruiter and a principal in the Global Supply Chain Center of Expertise at Korn Ferry. It may seem counterintuitive to hire newcomers in a field that's more complicated than ever, but healthcare organizations should consider recruiting supply chain leaders who can apply expertise from other industries. As hospitals have consolidated and health systems have grown, they've developed more complex needs than legacy supply chain executives are used to handling, Deboo said. He encourages his health system clients to seriously consider job candidates from outside of the industry. But few have done so. Despite Deboo's experience, data show the industry may already be making progress toward hiring more outsiders, said Eric O'Daffer, a vice president of research covering healthcare supply chain at Gartner. Last year, roughly 20% of healthcare supply chain leaders came from outside the provider space in a sample of 40 health systems with strong supply chain departments, according to the research and advisory firm's data. While Gartner doesn't have historical data, O'Daffer said it's widely recognized that the ratio has grown over the past few years. There was 35% turnover among leaders at those 40 systems last year—an unusually high rate. Good management of a hospital or GPO supply chain relies on pretty much the same tools, techniques and strategies used in other industries to negotiate, procure and move products, said supply chain expert Mohan Tatikonda, a professor of operations management at Indiana University's Kelley School of Business. While clinical outcomes (and costs) rest on executives' evaluation of product quality and effectiveness, that task is just as important in other industries, he noted. In automotive, for example, the quality of car parts could mean life or death in a crash. "I wouldn't necessarily want someone with deep healthcare supply chain knowledge, because the industry "desperately needs people who can think outside of the box." Despite the commonalities, anyone running supply chain in healthcare for the first time has to absorb some important nuances, including the use of GPOs and, compared to other industries, significantly less transparency into the logistics and manufacturing of products the hospital has ordered. Most notably, healthcare supply chain leaders are under increasing pressure to consolidate the different brands of items they purchase because of variation in physician preferences. Working with physicians and encouraging them to let go of their allegiances is one of the hardest parts of the job. Nevertheless, healthcare supply chain leaders are looking beyond the industry when they hire direct-reports, and they think C-suite executives should do the same when hiring their supply chain chiefs. 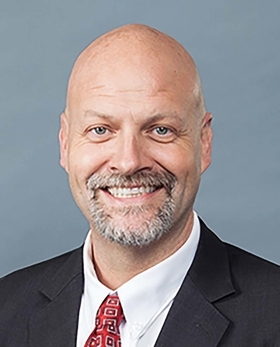 Ed Hardin, senior vice president of supply chain management at Southfield, Mich.-based Beaumont Health, has a master's degree in healthcare administration but worked as a consultant before taking supply chain roles at three different health systems over the past few decades. Hardin, who was recruited by Deboo, the Korn Ferry principal, acknowledged that smaller systems may not be able to attract outsider candidates for their top role—they're best served by hiring middle managers from hospital supply chain departments. Hardin said he's interested in people with unconventional backgrounds, such as longtime consultants, supply chain leaders in other sectors or even healthcare finance managers. Experienced healthcare supply chain managers may be able to move to more sophisticated health systems by getting a formal degree in the field, leaders say. Dallas-based Baylor Scott & White Health recently hired 15 new supply chain employees, includes two vice presidents, the majority of whom came from other industries, including energy, telecommunications, manufacturing and transportation, according to Tony Johnson, the system's senior vice president and chief supply chain officer. The only challenge for them is adjusting to a supply chain that isn't as advanced as the ones in the businesses they came from.